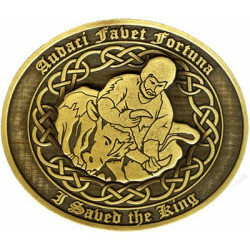 This Turning of the Bull commemorative belt buckle is a must have for any collection. The antique brass colored metal buckle measures 3" x 2 ½ ". A great gift item. Make sure no one accidentally takes your lunch! Identify yourself with this reusable, machine washable canvas lunch bag with strap handle. This 100% cotton canvas sack and strap measures 12.5" x 8"x 5.5" and is made from 100% cotton canvas. 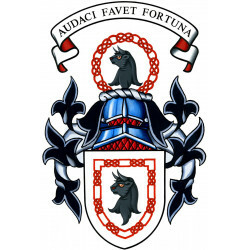 Official Turnbull crest and name. Roll velcro closure. This 100% cotton canvas tote bag has plenty of room to carry everything you need when you are on the go. Whether its the gym, the beach or kids extra clothes, this bag will always be in use. The bag has side and bottom gussets and extra long handles for easy handling. 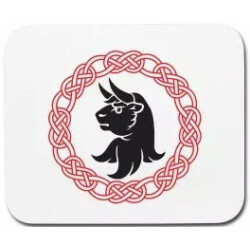 Printed with the Clan Crest and "Turnbull" or "Trimble"
This quality non-slip mousepad features rubber backing to keep your mousepad from sliding. The durable top surface on this mouse pad is professionally printed with the Lord Lyon official Turnbull Clan Crest. Machine wash this mousepad on cold and gentle cycle for easy care, dry flat.Measures 9 1/4" wide x 7 3/4" tall. 95% Neoprene/5% Rubber. This 20 oz. 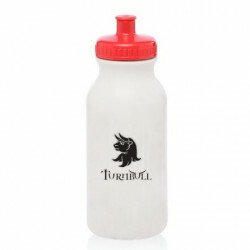 action sports bottle is made with flexible Polyethylene that is BPA free and safe for all uses. The flexi grip easy squeeze action bottle has an easy flow drink spout. 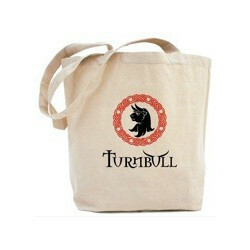 Custom made with Bull’s head from the Turnbull arms and the "Turnbull" logo. Ridged red cap. This emboidered patch is a must for every Turnbull. Embroidered with the official Lord Lyon granted Coat of Arms, this full color patch will be certain to be noticed! 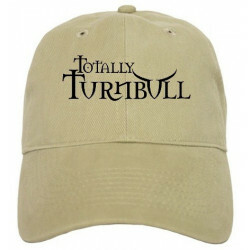 This is a Totally Turnbull exclusive item. The sew-on patch measures 4" high and 2.5" wide. 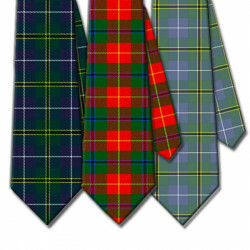 It is durable and embroidered with vivbrant color-fast Rayon thread. This heavy-duty cotton Tee has double-needle stitching throughout, seamless rib at neck. 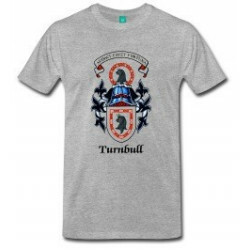 The light steel gray shirt is printed with the official Turnbull Clan crest in red and black and a black “TotallyTurnbull” logo. 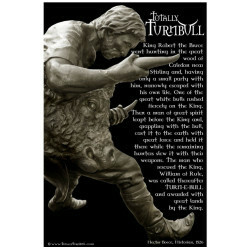 Describing the origin of the Turnbull name and showing the Turning of the Bull Turnbull monument at the Hawick Scotland Heritage Center in full color, this 13” x 19” poster come ready for display or framing. 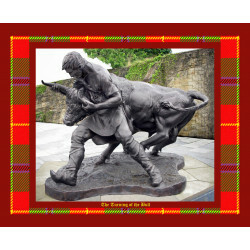 This makes a beautiful addition to any office or room while telling the story of your heritage. 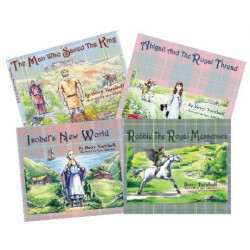 These beautiful original cards are designed especially with Turnbull heritage in mind. Blank inside, for your own special message. Cards measure 4 5/8" x 6 1/2". Envelope included. Adult cap is made from 100% brushed cotton canvas and adjusts from 20" - 24"
Be proud of your heritage. Enjoy using and gifting our fine products. 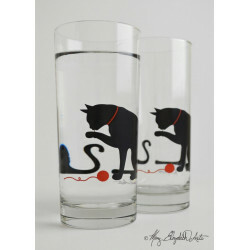 Please bookmark this page and check back often as new items are added on a regular basis. 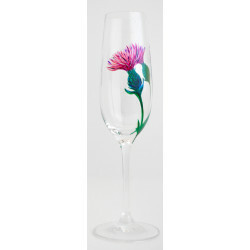 Planning a group event, need large quantities, or desire other personalized items? 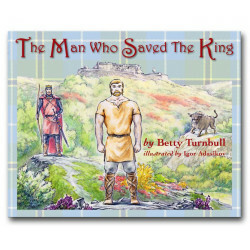 Proceeds generated from the sale of products on this website are used to fund various Turnbull Clan Association projects including the Turning of the Bull Monument at the Heritage Center in Hawick, Scotland and the Bedrule Cairn. 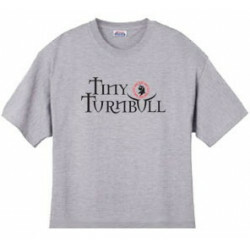 Totally Turnbull is your source for clan gifts and collectibles.